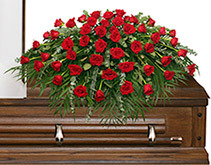 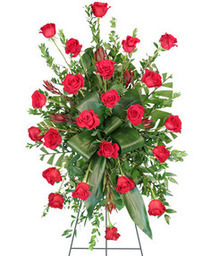 Funeral Flowers from Creative Florals of Charleston - your local North Charleston, SC. 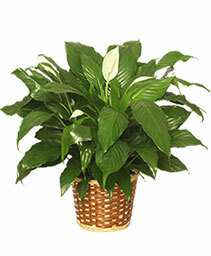 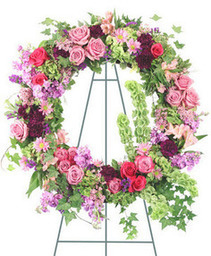 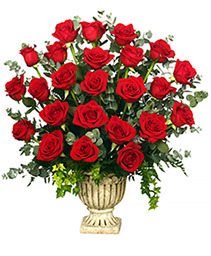 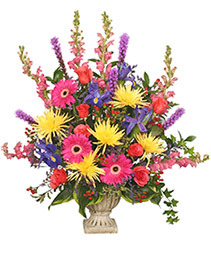 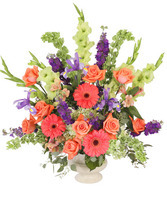 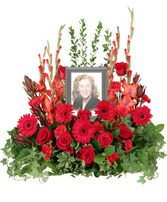 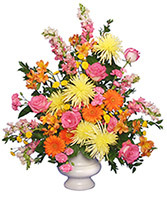 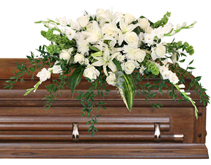 Let Creative Florals of Charleston deliver a lovely floral expression of sympathy and reverence for you. 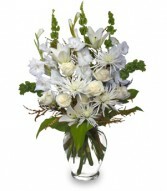 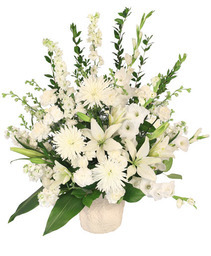 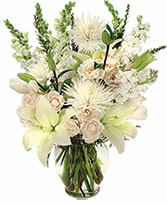 This arrangement features white roses, Fuji mums, gladiolus, lilies and bells of Ireland.